Need an app for your business that will run seamlessly across Android, iPhone and Windows yet limited by budget constraints? A Hybrid App is the answer. It is a mixture of Native and Web Apps, giving you a cross-platform experience along with scalable features in a highly customized Mobile Application. 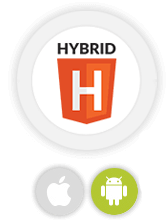 Hybrid apps are developed in HTML5 frameworks like, PhoneGap / Cordova and, Ionic or JqueryMobile. Webguru Infosystems is an ISO 9001:2015 certified company having considerable experience in cross-platform mobile app development. Our team of expert developers are specialized in providing Hybrid App Development Services as per your business requirements. Why Should You Opt For Hybrid Mobile App? User experience is always our priority. We ensure a seamless UI/UX design when developing the App. Using a diverse range of codes and frameworks, we give life to the designs and create a robust Hybrid App for the users. After development, we hire experts in the technological field to test your App and give his/her feedback as a user. Accordingly, we fix bugs, enhance performance and tweak designs if required. After everything is done and the app is up, we stand by you at all times starting from its launch to the day you call us again to upscale it. 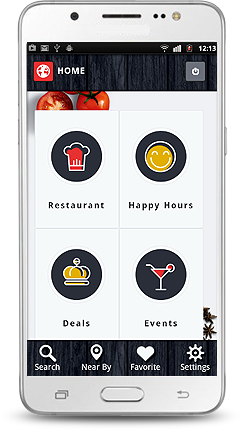 We closely monitor the App and upgrade its features as and when you need. Why Hire Our Hybrid Mobile App Developers? Hire hybrid mobile app developers from Webguru Infosystems to get a strong foothold in the mobility industry. We ensure quality services at the fast turnaround and a quite affordable price point. Technology has been witnessing unpredictable changes that make it possible for the developers to create applications to work on varied platforms. It is the need to garner exceptional amount of target audience like mobile or smart phone users that designers and developers are progressive in creating mobile applications to be operational on multi-functional browsers.